EverythingAccess.com is home to the website of software developer Wayne Phillips. This site started back in 2003 and is largely focused on providing Microsoft® Access and Visual Basic development tools and resources. The only service worldwide for accurately recovering source code from compiled MDE / ACCDE Microsoft Access applications. Ethical and legal restrictions apply. A quality, trusted service for repairing corrupt Microsoft Access databases. 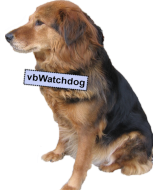 Fantastic Visual Basic development tools like our vbWatchdog Global Error Handler and our latest addition, vbMAPI Outlook Security Evader. Useful software tools such as the Code Protector for Microsoft Access and a free Password Retrieval utility. You will also find hundreds of free tutorials aimed at a wide range of Microsoft Access and VBA developers. Whether you're a beginner or an experienced Access developer, you're sure to find things of interest here. Don't forget to bookmark this site as new content is added regularly!